With our extensive experience and screen manufacturing capabilities, RiteScreen is the company you can trust when you decide to outsource. But why outsource at all? 9 of the 10 top window manufacturers and all 10 of the top door manufacturers outsource. Outsourcing screen production frees up valuable floor space that can be used for more profitable product lines. Outsourcing allows you to focus your capital on your core business – window and door manufacturing. Outsourcing screen production gives your production team more time to build your most profitable products – windows and doors. With outsourced screen production you’ll eliminate time-consuming inventory management and maintenance. Maintain the same level of quality your customers expect, without the expense, inventory control requirements or labor costs of producing screens in-house. Utilize the latest in logistics to streamline your operations. As an industry leader with over 70 years of experience, RiteScreen can customize production to meet any specification, and identify inefficiencies to improve your current production capabilities. RiteScreen works with you to evaluate your current processes and reduce or fully eliminate screen production from your facilities. That means more floor space and less burden on your employees. RiteScreen has the capacity and expertise to produce custom screen products to any specification and in any quantity. Our sourcing and manufacturing capabilities allow us to manufacture screens that far surpass most industry standards. RiteScreen’s approach combines experience, innovative engineering, and the quality of American craftsmanship with a 100% focus on screen assembly. We can package your screens according to your needs, including white-label packaging and sequenced delivery. This ensures your screens arrive ready for the line. 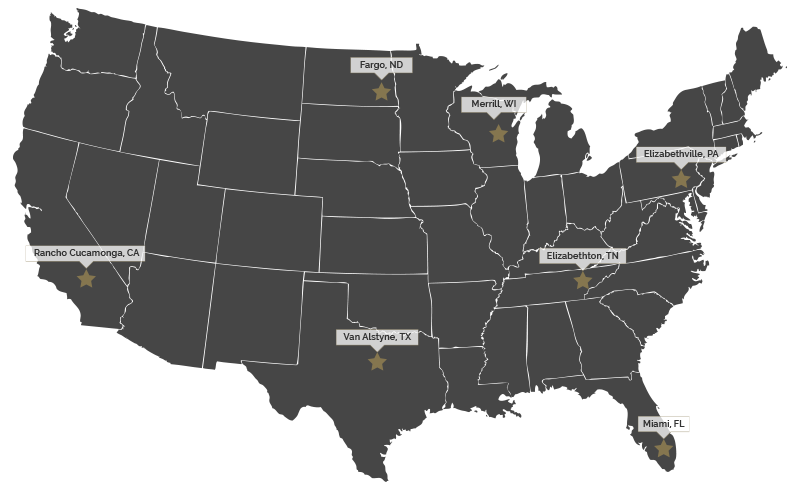 When you work with RiteScreen, your inventory can be manufactured and shipped from any one of our seven strategically-located manufacturing facilities. Our uninterrupted production and delivery means you get the screens you need, when you need them most. When you outsource with RiteScreen, you get the benefit of screens that represent the best in the industry, while reducing your production costs significantly. Our commitment to lean manufacturing and production can improve nearly every aspect of your business. Ready to Explore Outsourcing Your Screen Production? At RiteScreen, we're 100% dedicated to the screen business, producing more than 200,000 window screens and 32,000 door screens each week. We’d love to talk with you about the benefits of outsourcing your screen manufacturing to streamline your operations, enabling you to focus on your core products. © 2019 Ritescreen. All Rights Reserved.